Really great customer service and quality of products. Would recommend to others and use them again next time we need something! Thanks for the great support! We love hearing from clients like you who had an enjoyable experience and would recommend us to friends and family for repeat business. Thanks for your support Corinne, we are always so glad to hear that our staff is able to meet your expectations and supply you with quality service and ideas. Jennifer Noseworthy is an excellent sales representative that went the extra mile for us! Wonderful doing business with her, very professional! 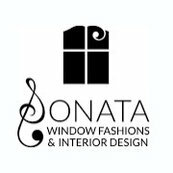 Hey Jonathan, great to hear we are so happy that you are still in love with the blinds and our work. Feel free to give us a call if you ever need anything at all.